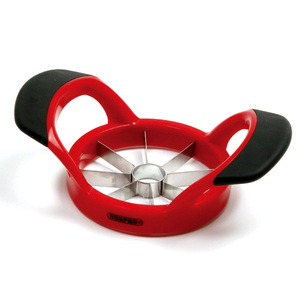 Cores and slices into eight even sections in one easy motion. Blades Measures 3.5"/9cm. Stainless steel blades. Handles have santoprene coating to give you a firmer grip. Dishwasher safe.